5 Days Golden Triangle Tour India is one of the highly sought after Golden Triangle Tour Packages in India. The Golden Triangle Tour India first takes the guests on a guided sightseeing of Delhi to discover the historical monuments and cultural squares that are little known in the lanes of Chandani Chowk, the largest and oldest market in Asia. Lal Qila or the Red Fort in Delhi eclipses Chandani Chowk with its magnificent presence. Located on the bank of the Yamuna River, this huge red sandstone was built by Shah Jahan as the new capital of the Mughal, when they moved from Agra to Delhi. Near the fort, he also built the largest mosque in India - Jama Masjid. Qutub Minar is among the highest stone towers in the world. India Gate, Raj Ghat and the President House (Rashtrapati Bhawan), with its magnificent Mughal gardens thrown open to the public in the spring season, are other relics that Delhi is proud of. The history of the New Age has seen the construction of the Lotus Temple and Akshardham Temple in Delhi which exude extreme beauty. 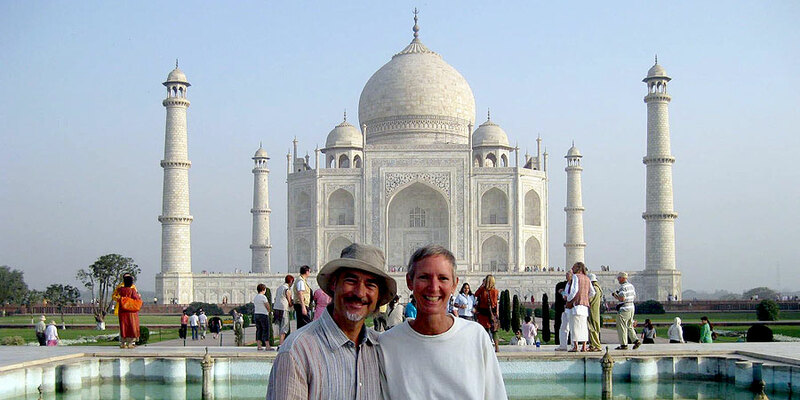 Golden Triangle Tours are best-selling tour circuits in India. The second destination to be reached and explored on Golden Triangle Tour India is Jaipur. Jaipur, an introduction to royal Rajasthan, is an inexhaustible cornucopia of royal heritage & monuments with architectural wonders employing ample artistic sophistication and craftsmanship. Opulence in Jaipur is all about stone art with sumptuous interiors. Amber Fort, Jaigarh Fort and Nahargarh Fort as well as the Royal Cenotaphs in Gaitor on the outskirts of the city and the Hawa Mahal, Jantar Mantar and City Palace in the pink city are witnesses of centuries of Rajput hierarchy in the region. Known also as 5 Days Delhi Agra Jaipur Tour, it’s a medium-paced Golden Triangle Trip that covers the most popular three tourist destinations in north India – New Delhi, Agra & Jaipur. After Jaipur, the last historical destination to be explored is Agra. It used to be capital of Mughal rulers and remained laboratory of Akbar & Shah Jahan’s architectural dreams. Shah Jahan loved marble architecture with as much passion as he loved his Queen Mumtaz Mahal. The Taj Mahal, built of white marble of Makrana, is one of the Seven Wonders of World today. Agra is also home to the former Mughal rulers’ residence complex - Agra Fort, Vision City of Akbar - Fatehpur Sikri, Tomb of Akbar - Sikandra and the tomb of Itmad-ud-Daullah known as the "Jewel Box" which was built by Noor Jahan for his father. On arrival at New Delhi airport, you will be greeted & transferred to Delhi hotel. After breakfast, along with tour guide, proceed to visit most illustrious attractions of Old Delhi - Red Fort, Jama Masjid & Chandni Chowk. Delhi tour guide will take you on a manual rickshaw ride in Chandani Chowk. Then move for visiting Akshardham Temple. After visiting Akshardham Temple, proceed on for Qutub Minar. On the way, visit India Gate. Watch President House and Parliament House while driving past central Delhi. In the evening, return to hotel for overnight stay. After breakfast, depart for Jaipur - the Pink City of Rajasthan. On arrival, you will be received and transferred to Jaipur hotel. Post-lunch, visit Hawa Mahal, City Palace and Jantar Mantar along with Jaipur tour guide. Thereafter, explore exotic market renowned for handicrafts, carpets, jewellery, marble products and ethnic wears. Hereinafter, attend the evening worship ceremony of Govind Dev Ji Temple, a mesmerizing experience. Later, return to Jaipur hotel for overnight stay. Having relished breakfast, proceed on Amber Fort excursion, a part of Jaipur tour. Take an excursion to Amber Fort. Feel like a king while riding a caparisoned elephant from foothill of Amber Fort to hilltop where the main entrance lies. After visiting Amber Fort, depart for Agra, erstwhile Mughal capital. On the way, stop at the ghost town of Fatehpur Sikri. Located 35 kms from Agra, the deserted medieval town is famous for Mughal era palatial and fort-like buildings like Buland Darwaja, Jodhabai Palace, Salim Chishti Shrine and Jama Masjid. Thereafter, continue to drive to Agra. On arrival, you will be transferred to Agra hotel for leisure and night sta. Sunrise view of Taj Mahal is feast to the eyes and the Golden Triangle Tour India with Optima Travels ensures this opportunity. Accompanied by Agra tour guide, visit the world famous Taj Mahal. Having viewed Taj Mahal, come back to hotel to have breakfast, relax, refresh and move on to visit Agra Fort. Agra Fort is the best preserved among Mughal fortresses. Have lunch and then explore local market for some time. Late afternoon or early evening, you will be driven to New Delhi. On arrival at New Delhi, you will be transferred either to hotel or to New Delhi airport to board flight for your onward destination. 5 Days Golden Triangle Tour ends here.